Long Lake Report, 20 Years in Depth - This report from RMB Environmental Laboratories contains data through 2016. Organic Suspended Solids or TSVS (Total Suspended Volatile Solids): This consists of primarily living or dead plant matter in Minnesota lakes. For the most part, it’s algae. Inorganic Suspended Solids: This consists of primarily soil particles and/or refractory compounds. For the most part it’s soils from runoff after a rain event. Each season our water quality volunteer monitoring team adds five data points (May through September) to the Total Suspended Solids (TSS) chart. The monitoring is done at Long Lake Site 202 near the deepest part of the lake. The process involves providing a water sample in a specifically designated bottle to RMB Environmental Laboratories for analysis at the cost of $10/month. We can think of this monthly TSS number as a measurement that speaks to our need for preventing and correcting erosion through shoreline restoration and by arranging rain gardens and buffer zones to keep runoff on land longer, thereby filtering water before it enters the lake. Collected Data Conclusions and Strategies - This report by the Hubbard County Soil and Water Conservation District along with RMB Environmental Laboratories is based in part on historical data collected by LLAA members in water quality monitoring tests done from 1984 through 2011. It is the report which Mark Sommer, SWCD, referenced in his presentation at the 2012 LLAA Annual Meeting. The Hubbard Soil & Water Conservation District's (SWCD) Hydro Lab is used by the Long Lake water quality monitoring volunteers on a monthly basis to monitor the dissolved oxygen (DO) and the temperature of Long Lake in one location, site 202, which is the deepest part of the lake. We started measurements in May of 2012. As you view the charts you can see what cisco experience. Cisco are like the canary in the mine and are the preferred forage of walleye. The information helps us understand better what all fish are experiencing here in Long Lake and the cycles of the lake. This is a team effort. Volunteers gather the data using a sensitive probe to go down 127 feet, meter by meter, then using the Hydro Lab to electronically store that data while manually writing down the data that flashes and changes momentarily on the screen as the probe bobs around in the water - just in case there is trouble with the electronic file. The data is retrieved from the Hydro Lab by SWCD personnel. 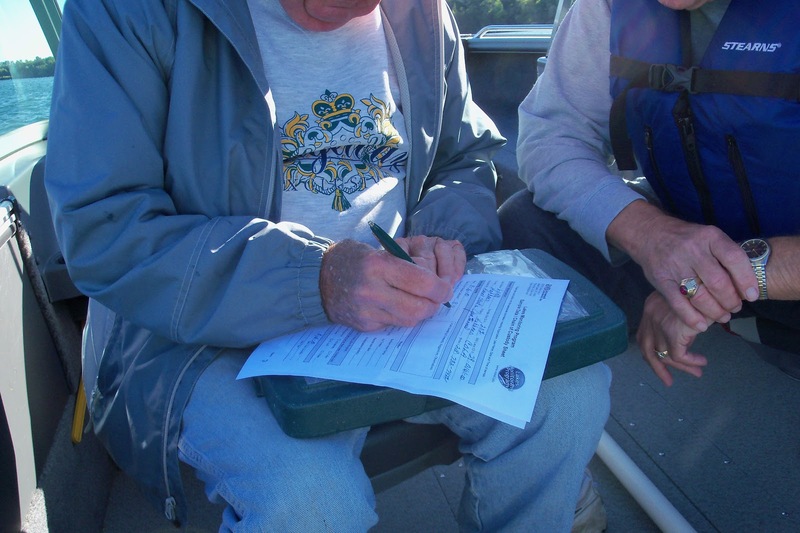 This data is then provided to the Park Rapids based DNR Fisheries. Doug Kingsley produces the charts using DNR software. This series of charts from Doug Kingsley (MN DNR Fish and Wildlife Area Fisheries Supervisor in Park Rapids) are based on the dissolved oxygen (DO) and temperature monitoring manually-recorded data and the Hydro Lab electronically-recorded data. Phosphorus: 14 – 27 - Is a nutrient for plant food and can enter the lake through run-off from manure, fertilizer, or seepage from septic systems. Chlorophyll-A: 1 – 10 – Is the pigment that makes algae green. It is measured to determine algae concentration. How does Long Lake (#29-0161-00) compare to the above expected ranges? 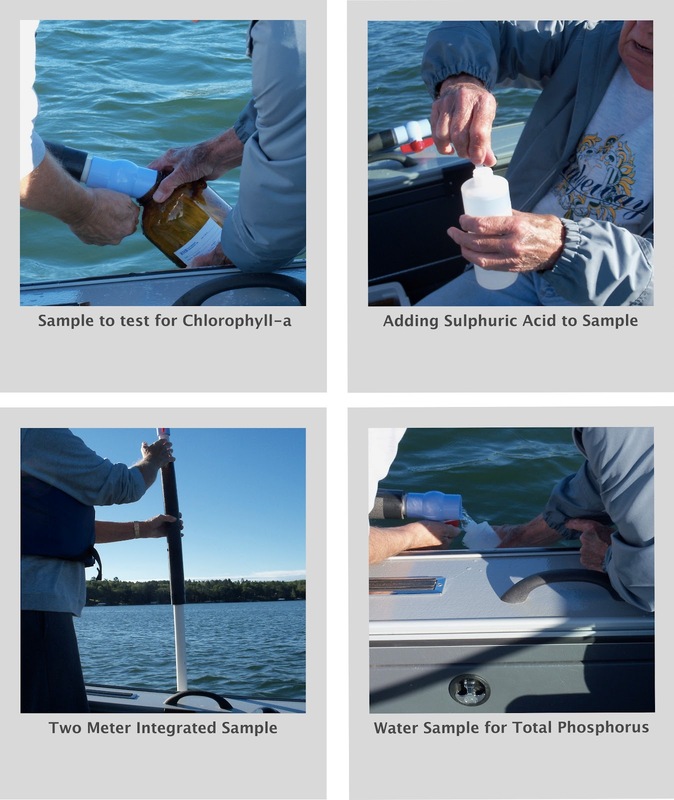 - Since June, Long Lake has been classified in the Oligotrophic* category for Phosphorus; Chlorophyll-A results classify Long Lake in the Mesotrophic* category. We are excited about the results this month, however, we need to continue to work on our erosion problems. - When we compare the water analysis scores for 2009 with our present 2010 scores, one can see a very nice improvement this year. *Oligotrophic = Very little nutrients having deep clear water and sandy bottoms with very little algae. These lakes are found in Northern Minnesota. *Mesotrophic = Meso means middle or mid range with medium amount of nutrients (phosphorus, nitrogen). These lakes are found in north central Minnesota lakes with clear water and some algae bloom in late summer. 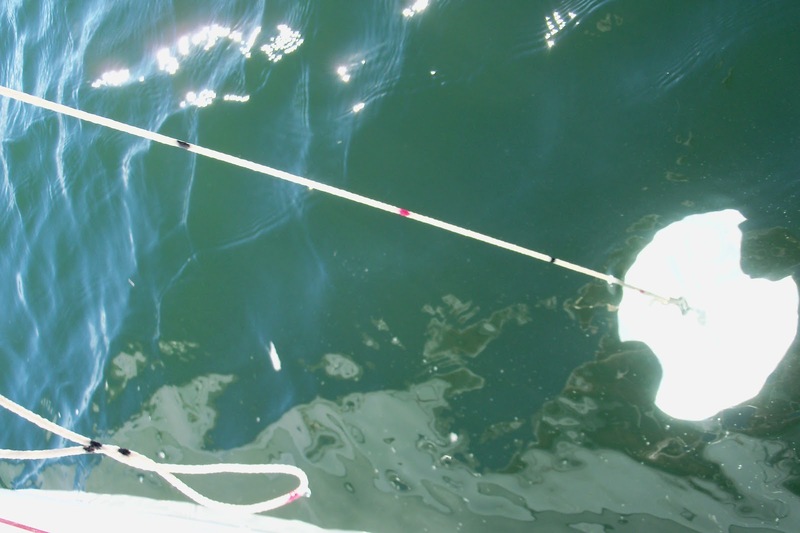 The photos below show some of the process involved in collecting and processing water samples.